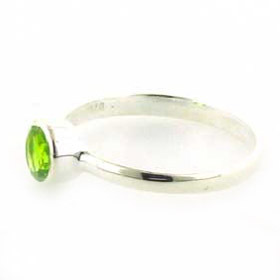 Large sterling silver cuff studded with 15 peridots. This statement silver cuff is bold, shiny and substantial - It's stunning and sure to grab attention! 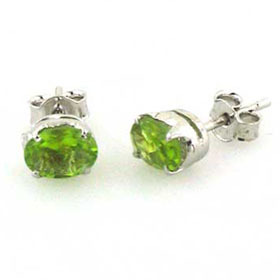 The sterling silver is lightly hammered to give it texture and is offset by the luscious bright peridots. 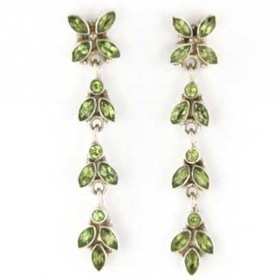 It is wide and substantial looking great on bare arms or over a plain sleeve. 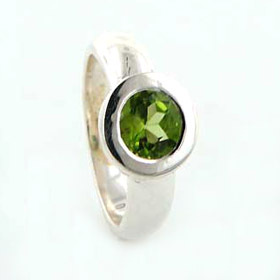 Open at the back the cuff can be adjusted to fit most wrists and can be worn at the wrist or further up the arm. 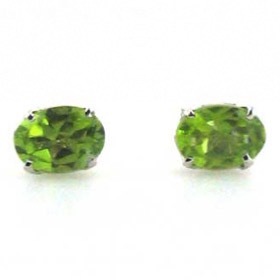 Peridot is a lime green coloured, semi-precious gemstone. 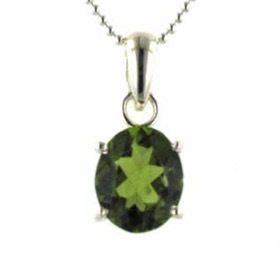 It's also the August birthstone. This wide silver cuff is a study in curves. 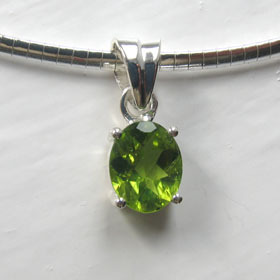 See below for coordinating pieces of peridot jewellery. Explore all our sterling silver bracelets.